Art Sanislo, the Pilot of "Lady Godiva," was born in 1921 in Cleveland, Ohio. Art was in his second year of college and working as a chemist's assistant at Master Builder's Company when he enlisted in the Unites States Army Air Forces as an Aviation Cadet at the age of 21 on March 17, 1942, in Cleveland, Ohio. 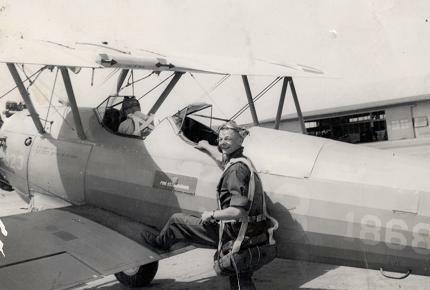 Art completed Pre-Flight Training in June 1942 in Santa Ana, California. He next completed Primary Flight Training in the Stearman PT-17 during August 1942 at Tulare, California. Then Art completed Basic Flight Training in the North American AT-6 Texan during October 1942 at Lemoore, California. Finally, Art became a commissioned officer (2nd Lieutenant) and a qualified pilot on January 4, 1943, after completing Advanced Pilot Training in the North American B-25 Mitchell at Luke Field in Arizona. Art was assigned to the 7th Air Force, 41st Bombardment Group (M), 396th Bombardment Squadron (M) based at March Field in Riverside, California. 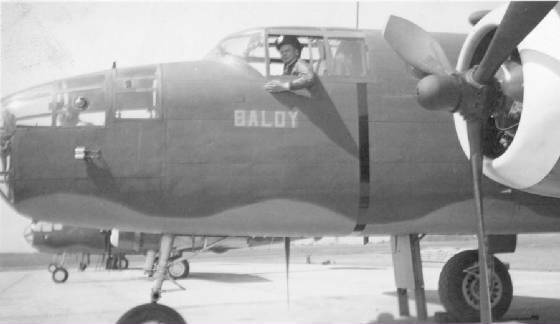 Art was assigned aircraft 41-30778, a North American B-25D-20 Mitchell, which he later named "Lady Godiva" and became the aircraft commander. Art, "Lady Godiva", and the 396th Bombardment Squadron departed the Continental United States for the Asiatic Pacific Theater on November 6, 1943, and arrived at Hickam Field, Hawaii, on November 7, 1943. In early 1944 after completing 13 combat mission in "Lady Godiva", Art's aircraft "Lady Godiva" was transferred to the 820th Bombardment Squadron (M), and Art was assigned to different aircraft to include 43-3294 and 43-3295, both North American B-25D-30 Mitchells. 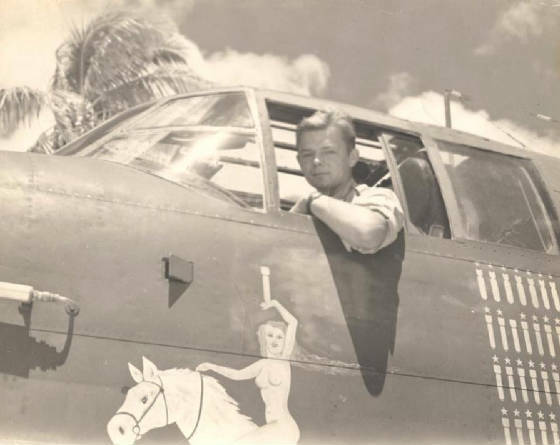 Art completed 50 combat missions in the Central Pacific Theater of Operation with a total of 240 combat flying hours. 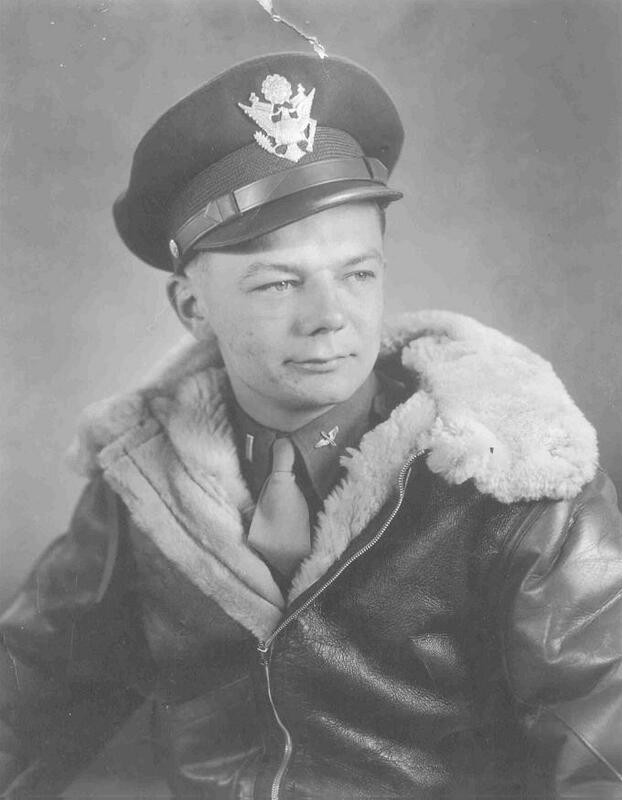 Art was awarded the Distinguished Flying Cross with 2 Oak Leaf Clusters, the Air Medal with 6 Oak Leaf Clusters, the American Service Medal, and the Asiatic Pacific Service Medal. Art departed the Asiatic Pacific Theater on September 21, 1944, and arrived in the Continental United States on September 22, 1944. Art was honorably relieved from Active Duty on September 1, 1945, at Camp Atterbury, Indiana. Art had a total of 1,200 flying hours.